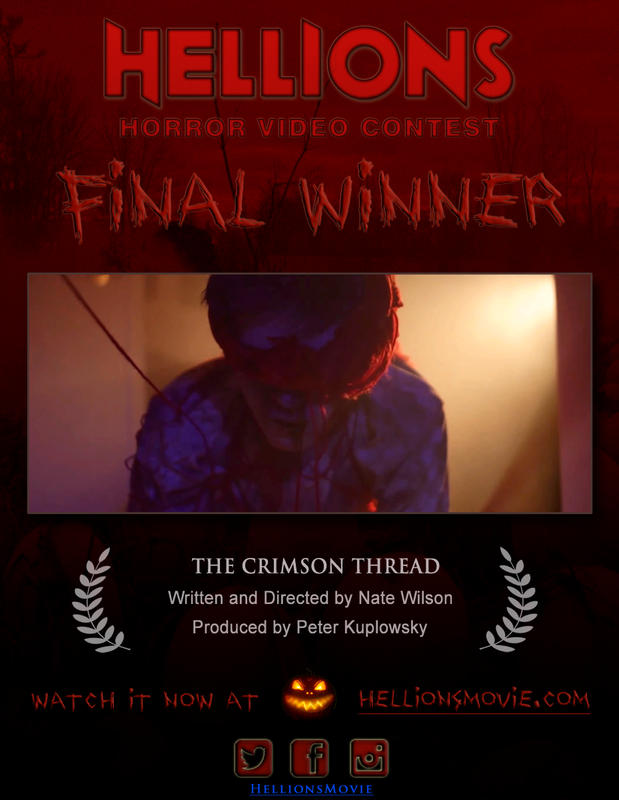 After five weeks of competition the Hellions Video Contest Winner was announced on April 7th, with The Crimson Thread, written and directed by Nate Wilson, taking top honors and now set to be featured in a scene of the Halloween-themed feature film Hellions. Over the course of the contest, fans had an opportunity to vote on their favorite entry and elect a Weekly Audience Favorite to advance to the Final Round. You can check out the winning video in the player below! The Final Round was juried by Hellions director Bruce McDonald, director and Rue Morgue publisher Rodrigo Gudiño, and Hobo with a Shotgun director Jason Eisener. The Crimson Thread will be shown within the context of the feature film Hellions, with the potential to also screen theatrically, in its entirety, along with the feature film; and to be included as a special feature on the DVD/Blu-ray release of Hellions. 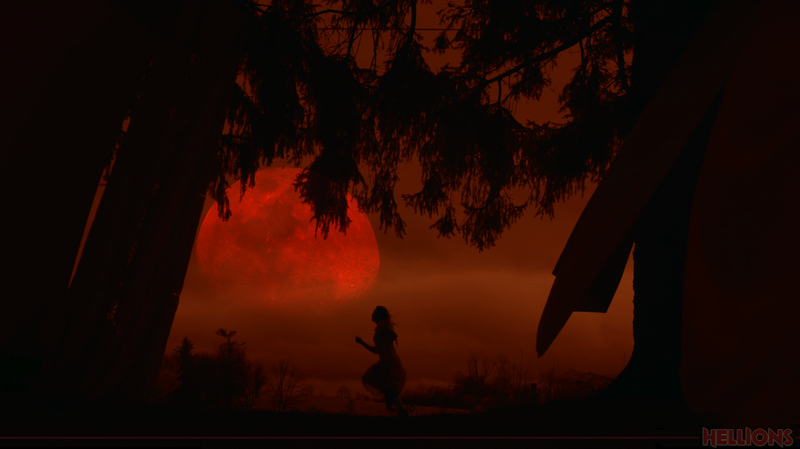 Helmed by maverick indie director Bruce McDonald, Hellions stars newcomer Chloe Rose (Degrassi: The Next Generation), as a teenager who must survive a Halloween night from hell when three malevolent trick-or-treaters come knocking at her door. The horror thriller also stars Robert Patrick (Terminator 2, True Blood, The X-Files) in the role of a tough-as-nails cop Mike Corman; Rossif Sutherland (Reign, Crossing Lines, ER); Rachel Wilson (Republic of Doyle, The Kennedys); Peter Dacunha (Haunter, Reign); and Luke Bilyk (Degrassi: The Next Generation). Hellions is penned by Pascal Trottier (The Colony) and produced by Frank Siracusa (Hobo with a Shotgun) of Whizbang Films and Paul Lenart of Storyteller Pictures. The film is produced with the participation of Telefilm Canada, and in association with Bell Media’s The Movie Network and Corus Entertainment’s Movie Central.